The Impala is a popular series of car that became recognised for its long wheelbase and distinctive triple taillights. 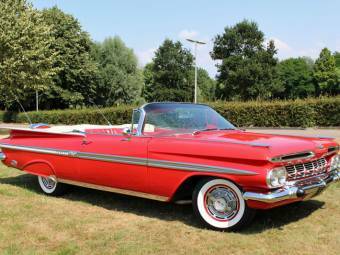 Built by the American manufacturer, Chevrolet, a division of the General Motors Company, the Impala was first produced in 1958. 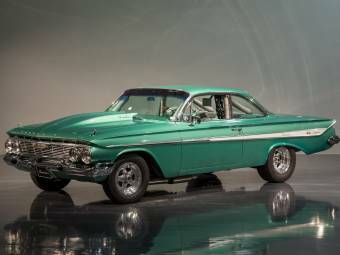 The first generation Impala of 1958 was in fact a third generation Chevrolet Bel Air. 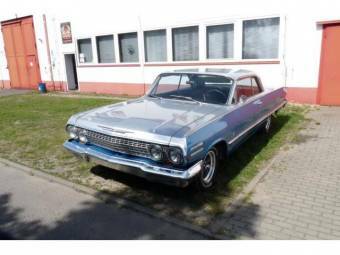 Designed to be a premium model of the Bel Air range, the Impala was released in two-door hardtop coupe and convertible versions. In addition to three round taillights at each side, the first Impala had four round headlights and a wide front grille, which was similar to Cadillac styling. Also like Cadillac design was Chevrolet’s new X-shaped frame that was said to provide increased torsional rigidity. The first Impala had a standard V8, with options for a W-block Turbo-Thrust V8 and a Turbo-Fire 283 V8. V8 remained the typical Impala engine throughout later generations. 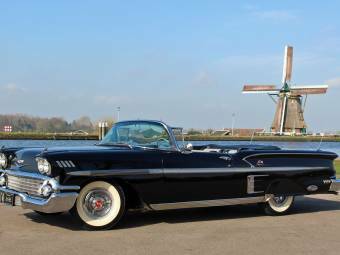 Chevrolet produced 125,480 coupes and 55,989 convertibles during the Impala’s first generation production run. Despite a recession, the release of the Impala was key to Chevrolet’s success as the top US car manufacturer that year. 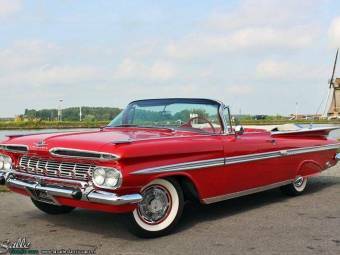 In 1959, the Chevrolet Impala became a separate series to the Bel Air and was redesigned. The new generation was longer and lower, and a four-door hardtop and sedan were added to the initial two-door variants. Many new features were added as optional extras, including the “Speedminder” gadget, air conditioning, power seats and cruise control. The second generation ran from 1959 until 1960, and the 1960 models reintroduced triple taillights. A total of 490,000 second generation Impalas were manufactured. 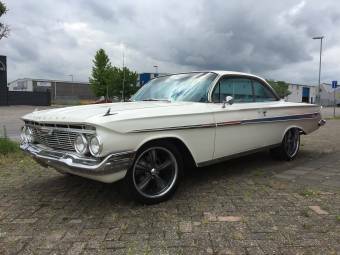 The Chevrolet Impala was redesigned again for the third generation, which ran from 1961 to 1964. A two-door pillared sedan was produced in 1961 alone, and due to low numbers of orders it subsequently became a rare collectible. From 1962 to 1964, new roof styling proved popular with consumers, as did wider C-pillar design on most models. 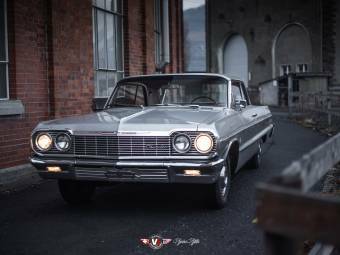 Running from 1965 to 1970, the fourth generation Chevrolet Impala achieved more than a million US sales in its first year. This was a new record in the automobile industry. The 1965 model was heavily redesigned. The X-shaped frame was replaced with a perimeter frame and new full-coil suspension was included. The four-door hardtop Impala Caprice was introduced as the flagship model in 1965, while another new model, the Custom Coupe, was released in 1968. The fifth generation ran from 1971 to 1976, and Impala remained Chevrolet’s bestselling series during this time. Some changes were introduced to meet higher safety standards, while others were cosmetic adjustments. The sixth generation, from 1977 to 1985, saw downsizing of the frame, and this new frame was utilised until 1996. Despite a shorter, narrower frame, the sixth generation Impala was taller, so it offered greater headroom, passenger legroom and boot-space than previous models. Following the display of a concept car at the Detroit Auto Show in 1992, the seventh generation began with the release of the Chevrolet Impala SS. This was almost exactly the same as the concept car and utilised many of the features from the Impala Caprice 9C1, the police model Caprice. The Impala SS had a 3.08 gear ratio as standard and was only available in automatic transmission. The closure of the General Motors Company’s B-body production platform in 1996 saw the discontinuation of the Impala SS and the end of the seventh generation.